Let’s be honest. Extremely tiny invertebrates are usually over-looked. They aren’t terribly interesting and often appear as no more than an amorphous speck, or slight disruption in the surface of whatever they’re feeding on. Searching the world of the cryptic and minute consumes a lot of bottom time, with not much to show for it. But what a thrill it is to find something unique, such as in the case of “micro” nudibranchs. 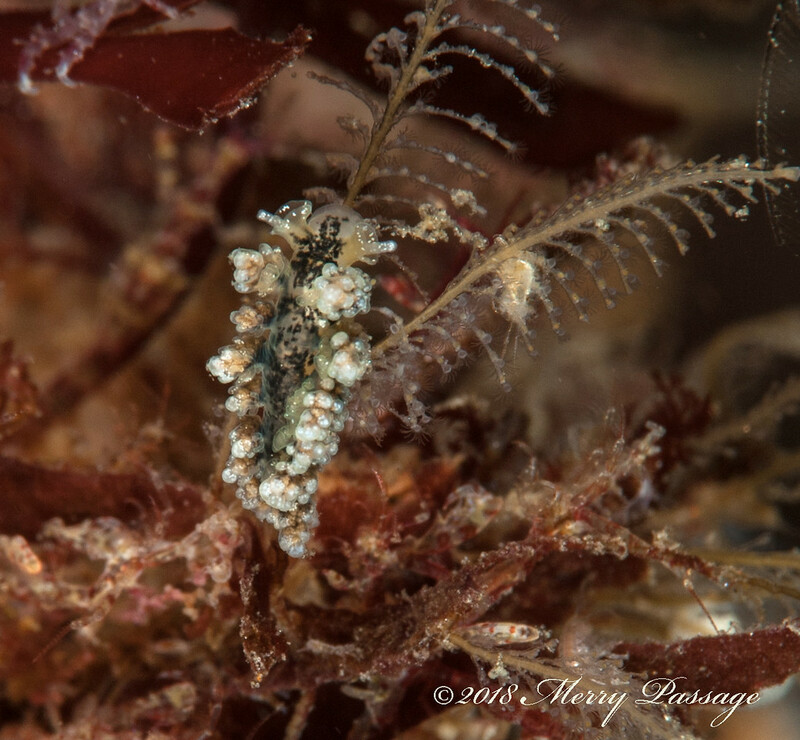 I’m talking about nudibranch species that are known to attain a maximum size of 10 – 12 mm, however, we see those (adults) at the small end of their size range, barely visible to the naked eye. What often gives them away is the presence of their brilliant white eggs - LOTS of eggs in some cases.